Disney continues to imagine new worlds, spaces and places for creative minds everywhere to enjoy the world of make believe. Re-imagine with Disney through these new attractions, some of which have already opened their gates! Remember the movie Avatar with all the blue people? Well, you are about to embark into a land recreated to reflect the culture of Na’vi. Take a ride on a mountain banshee, explore the bioluminescent rainforest, and behold the beautiful Valley of Mo’ara. Let your imagination take flight! Woody, Buzz, and the whole gang is getting ready for a wild adventure and want you to come along for the ride. Let Slinky take you on a roller coaster dog dash, spin on the Alien Swirling Saucers®, and head over to the popular Toy Story Midway Mania!® Afterwards, stuff your face at Woody’s Lunch Box® or Pizza Planet® for a great meal. Plus, what would Toy Story Land be without the Toy Story characters themselves! Disney is bringing Micky & Minnie’s cartoon show to life through this Runaway Railway ride of a life time. This ride will be taking the place of The Great Movie Ride® Attraction. Fun for the whole family and a great place to see your favorite mice come to life. It’s time to be the Jedi you’ve always wanted to be! Bring your light saber and step onto a new planet in a galaxy far far away. Chill with Chewbacca and see the Millennium Falcon before your very own eyes. While a lot of information has not been released about this exciting new land, we know this expansion of Disney is going to be BIG! 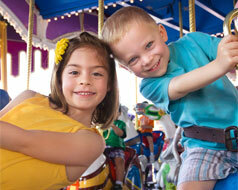 Head over to Walt Disney World® Resort and explore the magic of new lands and attractions!